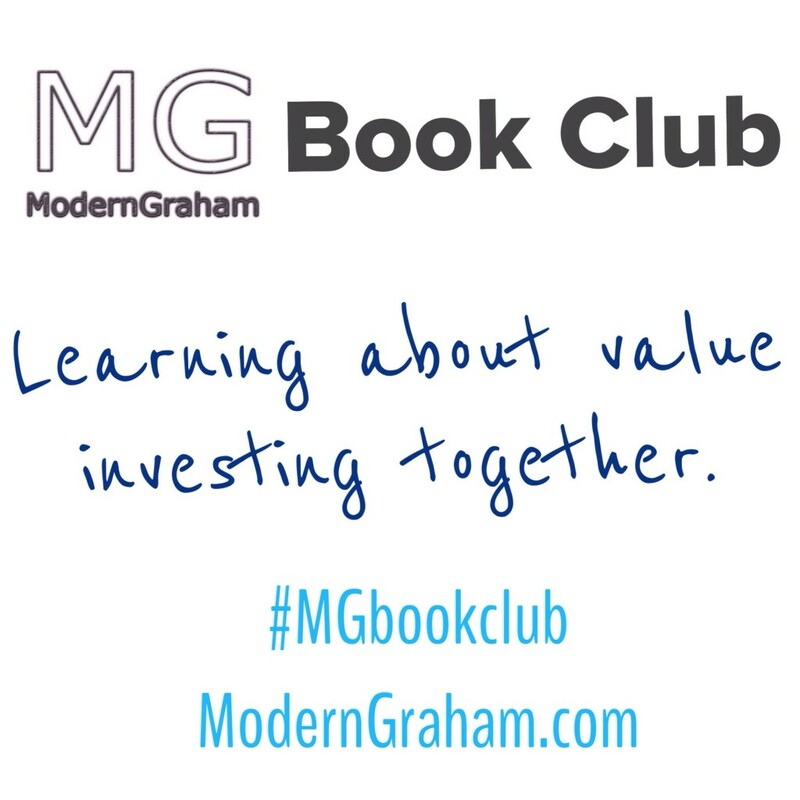 This is the twentieth discussion of the ModernGraham Book Club’s reading of The Intelligent Investor by Benjamin Graham (affiliate link). In last week’s discussion, we discussed the nineteenth chapter, in which Graham briefly discussed the relationship between shareholders and management and the importance of dividends. This week we will discuss the twentieth chapter, which is titled “‘Margin of Safety’ as the Central Concept of Investment.” I encourage you to purchase the book (preferably by clicking the link to Amazon, because a purchase through that link will help support the club) and join in with us as we read through a chapter each week; however, even if you don’t have the book I think you will find our discussions to be very useful in your own understanding of value investing, and you can still bring a lot to the discussion from your own experiences as an investor. Whether this is the first day you’ve ever been interested in investing, or you have decades of experience with the stock market, we’d love to hear your thoughts in the comments below! Please feel free to leave a comment on this post with your own responses to the questions, along with any other thoughts you have, and return throughout the next couple of days to see what others have said. If you find something that has been said by another commentator interesting, feel free to respond to them with another comment. We’ve had some great discussions throughout the book club, so keep it up! Along with Chapter Eight, this is one of the most famous chapters of the book, primarily because those two are the ones which Warren Buffett continues to tout as Graham’s greatest contributions to the investing world. In general, Chapter Twenty deals with the notion that investors must utilize a margin of safety because it is not possible to know where the market will head in the near future. Rather, the intelligent investor knows that the market is inherently unpredictable other than the fact that over time if the investor continually purchases securities worth greater than the market seeks, then the investor will eventually earn a profit. The ModernGraham valuation model has a couple of built-in safety margins. First, with regard to growth, the growth rate is estimated based on past performance and up to 3 quarters of estimated future earnings. The earnings base utilized also relies on a weighted-average of the earnings over the last five years. Once the demonstrated growth rate is calculated, the model reduces the estimate by 1/4 as a safety margin, and further limits the maximum estimate to 15%. The second built-in safety margin is found in the overall conclusion. In order to receive an “undervalued” rating, the company must be trading below 75% of its estimated intrinsic value. Together, these two safety margins help create a reliable model for the intelligent investor. What Safety Margins do you utilize in your investing? This was the last chapter of The Intelligent Investor. Next week we will reflect back on this edition of the ModernGraham Book Club and provide some thoughts on the club going forward. 1. What quote from this chapter do you think best summarizes the point Graham is making? “Observation over many years has taught us that the chief losses to investors come from the purchase of low-quality securities at times of favorable business conditions.” Although this reality may not appear as a component of the margin of safety principle as thought of in the traditional sense, avoiding this pitfall will indeed (according to Dr. Graham’s wisdom) eliminate the “chief” risk to the investor’s capital. 2. What Safety Margins do you utilize in your investing? Dr. Graham’s investing principles and stock selection rules laid out in his two books: Intelligent Investor and Security Analysis. Simply stated: limiting purchases to well established, well run, profitable companies conservatively financed with good prospects for the future and selling at a significant discount to their intrinsic value. 3. What did you think of the chapter overall? A simple yet critical message for those with interest in investing profitably. 1)	What quote from this chapter do you think best summarizes the point Graham is making? “…most of the fair-weather investments, acquired at fair-weather prices, are destined to suffer disturbing price declines when the horizon clouds over – and often sooner than that.” “…to have a true investment there must be present a true margin of safety. And a true margin of safety is one that can be demonstrated by figures, by persuasive reasoning, and by reference to a body of actual experience.” ”…margin-of-safety… by definition, a favorable difference between price on the one hand and indicated or appraised value on the other hand. That difference is the safety margin. I chose three very important quotes from this chapter. Many people thought they are investing when they are really speculating; they are simply not calculating the margin-of-safety or they are assuming some information as a good substitute for proven financial history. 2)	What Safety Margins do you utilize in your investing? I use the teaching of Graham as discussed in this book. I also continually read and follow financial news and the companies I invest in or think of investing in. I try my best not to follow the crowd, and use facts instead. 3)	What did you think of the chapter overall? I enjoyed this chapter because it highlights the idea of a sound investment coming from a margin-of-safety; we cannot predict the future, but we can buy at a discount to historical performance.